So today I went to my sister’s house for our second Christmas dinner. (Well for my family it was but for me it was actually my first as Christmas day I was unfortunately very sick and had to stay in bed most of the day to recover and managed to eat only 2 savoury crackers). Feeling much better now after great company, delicious food and watching the old Back to the Future films and the Snowman and the snow dog. 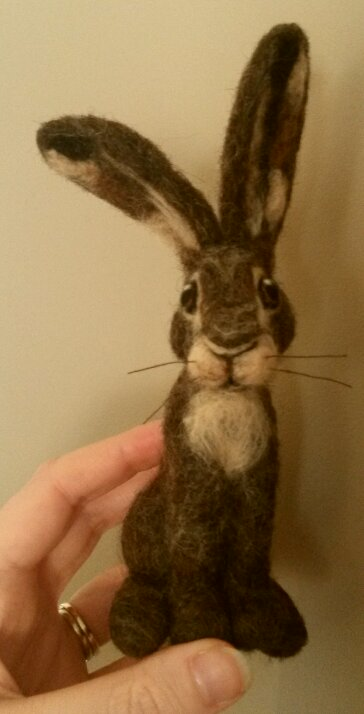 I made this little hare for my sister for Christmas so couldn’t wait for her to open up her ribbon wrapped box after dinner to find out what was inside. 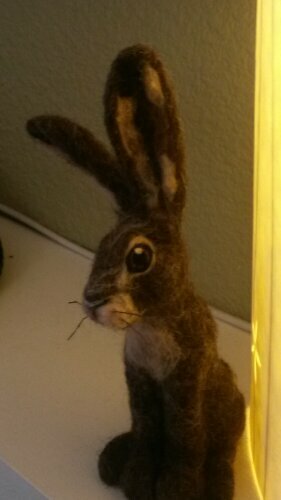 My sister really loves hares. 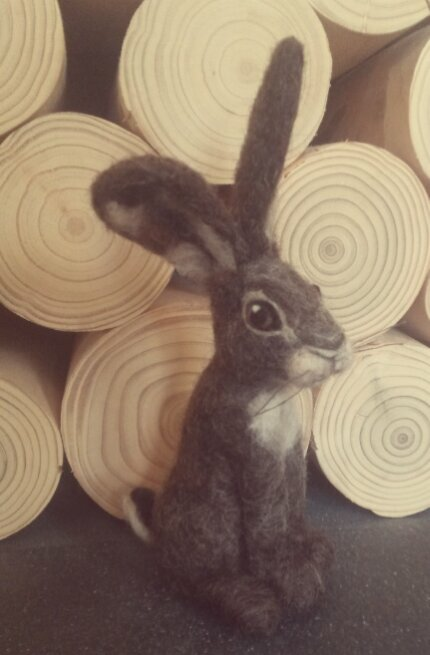 She has several ornaments already and a big picture of one on the wall of her lounge. 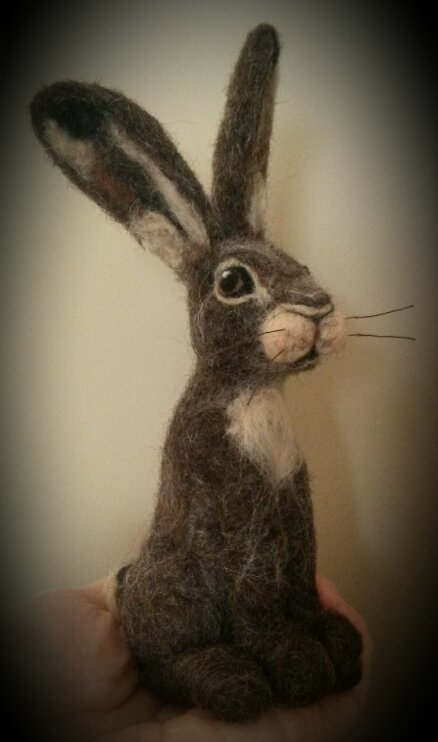 As usual I googled photos of real hares as well as bronze and clay sculptures for inspiration and created this chocolate brown hare with champagne cream detail. 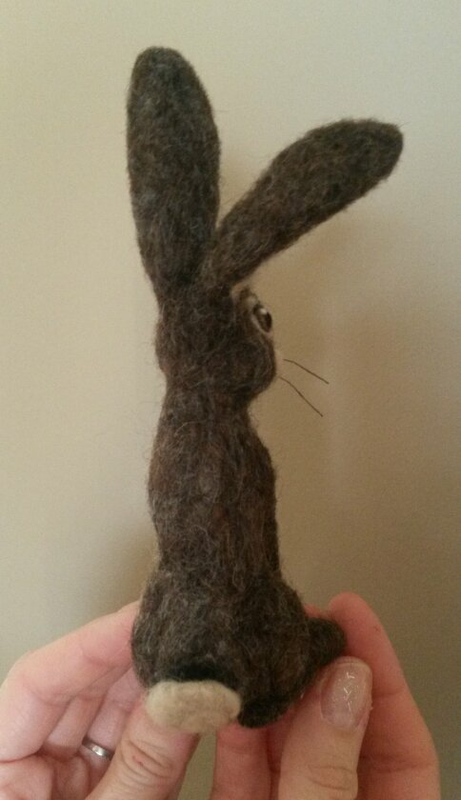 To give him lots of character and bring him to life I have ensured he has big alluring eyes and one ear that lops down ever so slightly compared to the other as his head tilts to the side. 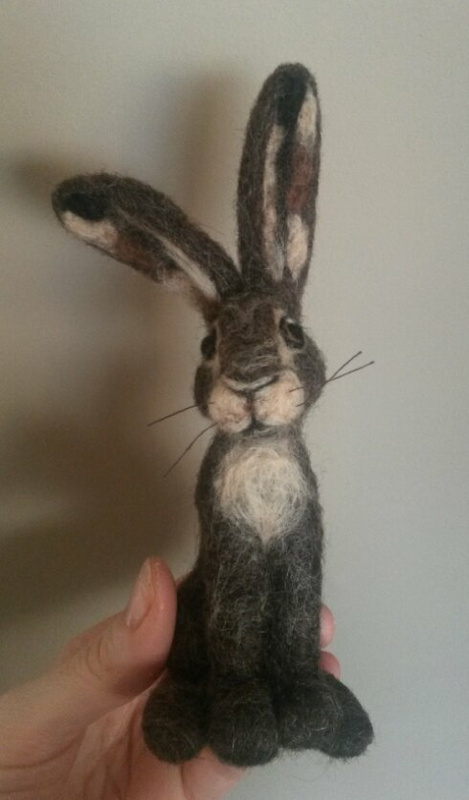 She loves him 🙂 Hope you like him too..
Posted in Needle felt and tagged Christmas present, felt hare, felted animal, felting hare, hare, needle felted hare. Bookmark the permalink.